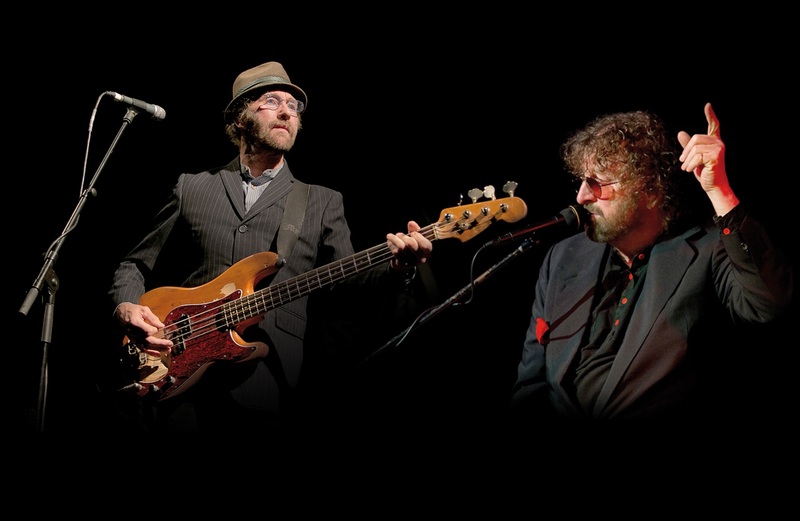 Chas & Dave are renowned for their good old Cockney knees up and we can't wait to see them return to Potters later this year. Chas & Dave coined the phrase ‘rockney’ to refer to their style of music, fusing cockney accents and rhyming slang with rock & roll and pub singalong music. Their snooker-themed 1986 top ten single Snooker Loopy features snooker players Steve Davis, Dennis Taylor, Willie Thorne, Terry Griffiths and Tony Meo, as backing vocalists under the guise of The Matchroom Mob. The hook used on Eminem's My Name Is was originally played by Chas & Dave who were session musicians for Labi Siffre, and recorded the tune I Got The, which Eminem later sampled. The Two Ronnies famously did a parody of Chas & Dave for their 1982 Christmas Special. Pete Doherty claims that it was listening to Chas & Dave that first made him want to become a musician. The Libertines would later play Chas and Dave songs during rehearsals. The duo opened for Led Zeppelin at the 1979 Knebworth Festival. Chas and Dave were offered the chance to record the theme song for Only Fools and Horses but couldn’t do it as they were on tour in Australia. It was subsequently recorded by Only Fools’ writer John Sullivan. They are both big Tottenham fans, and recorded four FA Cup final singles for their beloved Spurs, including Glory Glory Tottenham Hotspur and Tottenham Tottenham. Chas & Dave recorded the music for a handful of adverts for Courage Bitter in which they adapted some of their best-known songs. Chas supported The Beatles on their last ever European tour while he was playing with Cliff Bennett and the Rebel Rousers. What’s your idea of a good old knees up? How well do you and Dave get on? Out of the both of you who is the best dancer? Have you ever forgotten the words to any of your songs? Any pre and post show rituals? Your favourite song of yours? Any songs you wish you’d written? You’ve performed with some greats already. Are there any other singers or stars you’d like to team up with? Tell us your favourite Chas & Dave song on Facebook.